The Movie Making for Photographers Workshop focused on the Sonoma County Hot Air Balloon Classic for its filmmaking subject. We spent portions of both Saturday and Sunday at Keiser Park in Windsor, CA capturing content for our work in Final Cut Pro X. Close access to the action provided great content for our filmmaking. The workshop crew then learned the ins and outs of setting up a project in Final Cut Pro X, organizing the vast library of scenes we had recorded, building an effective storyline, massaging audio, and best practices for outputting our finished product. We also covered how to move Final Cut projects from one drive to another and upgrading existing iMovie work to Final Cut X. Two professional filmmakers joined us as co-instructors, Louis Ekrem of Laughing Cat Films and Eric Michael Perez of Clicker Video, who shared practical ways to tap the movie making functionality of our DSLRs. Classroom session of TDS Movie Making Workshop. Photo by Eric Perez. "I'm never going back to iMovie," remarked Ed Shields, one of the workshop photographers. "Once you get your bearings in Final Cut X, it's actually quite logical," added Craig Tooley, who also joined the group. Balloon photos by Derrick Story. 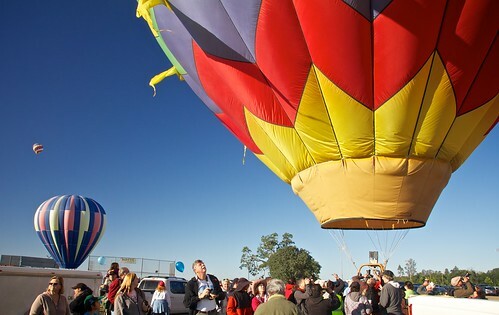 Having such intimate access to the action at the Hot Air Balloon Festival was so important for our movie making. We were able to show the details of preparation as well as the sweeping big shots during liftoff. We're planning to do this workshop again next year. 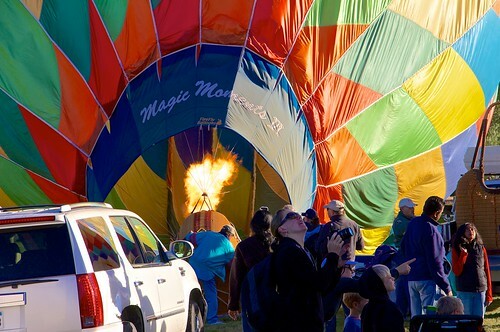 If you want to improve your movie making skills and witness firsthand the excitement of a hot air balloon festival, make June 2014 on your calendar.